The San Francisco Boys Chorus offers an unparalleled program for Bay Area boys with special vocal talents. If you would like to help provide this opportunity to boys of all economic backgrounds, consider vehicle donation. The Vehicle Donation Processing Center in association with the San Francisco Boys Chorus makes it easy for you to donate any unwanted car, truck, RV, van, boat or plane. Representative are available 24 hours a day to take your telephone call. You may, if you prefer, access a form online. Just basic donor information is required as well as an appointment for the pick up, free of charge, of your donated vehicle. All the paper and sales work is performed by the Vehicle Donation Processing Center, leaving you free of any ad writing, vehicle showings and price haggling. If you file an itemized tax return, you may qualify for a deduction. The San Francisco Boys Chorus receives half of the net proceeds. Help give boys in your San Francisco community the chance to experience this highly regarded, fulfilling program with vehicle donation. It really is easy. To empower individuals living with low vision or blindness to discover, develop and achieve their full potential. The mission of Support The Enlisted Project is to provide active duty and veteran families financial grants in times of crisis, and through one-on-one counseling, develop a plan to achieve financial self-sufficiency. 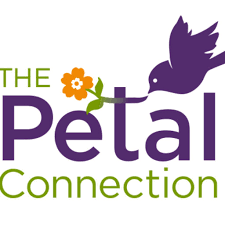 The Petal Connection is a 100% volunteer 501(c)3 nonprofit organization whose mission is to connect beautiful floral bouquets to local hospice patients and seniors in need of a little joy. Our volunteers re-purpose flowers to create colorful bedside bouquets using flowers and vases that are donated from local grocers, florists, corporate events, weddings and community members. The Petal Connection partners with hospice and care facilities throughout Sacramento and Placer counties to connect these joyful bouquets with their patients and residents. Our mission is to improve the quality of life for everyone in Greater Los Angeles by creating pathways out of poverty. The mission of Ventura County Animal Services is to improve the lives of the animals in their care, be timely and compassionate in our responses, educate the public through community outreach and, provide for the health and safety of the citizens and animals of Ventura County. Our mission is to provide an atmosphere in which residents have the ability to enjoy their golden years and maintain their dignity in a serene setting.